Entertainment, historic presentations, exhibits, youth camps and more are being planned by the communities who are hosting the Nebraska Chautauqua next summer. This free festival will be held in Alliance on June 10-14 and in Kearney on June 17-21. Full schedules of activities for each community will be posted on the website NebraskaChautauqua.org after the first of the year. The summer 2015 Chautauqua is part of a four-year series that gives Nebraskans a fun, memorable way to discover how Nebraska and the Great Plains were settled 150 years ago. With the title “Free Land? 1862 and the Shaping of Modern America,” this traditional, turn-of-the-century-style festival explores the lasting impact on the people of the Great Plains — settlers and Native Americans — left by landmark legislation passed in 1862. The three pieces of legislation include the Homestead Act, the Morrill Act and the Pacific Railway Act. All were passed within six weeks of each other in 1862, and set into motion sweeping changes for the Great Plains region and the American West. HN staff and the host communities look forward to this summer’s events with much anticipation. “We’re excited to return to both communities and we are certain that the audiences in each community and the surrounding areas will help us further explore the questions, stories, and themes central to our ‘Free Land’ Chautauqua,” said Kristi Hayek Carley, HN program officer. During the day, educational workshops and activities will be held for adults and children. Write about dogs vs. cats, hear the stories of Native Americans, listen to exciting tales of the “Wild West,” learn about who really profited from the transcontinental railroad and much more. Every evening, audiences will gather under the big Chautauqua tent to enjoy local music or theatrical entertainment, followed by a presentation by one of five Chautauqua scholars portraying historical figures from the era. Moderated by author and humorist Mark Twain (as portrayed by Warren Brown), one Chautauquan each evening will deliver a 40-minute presentation as his or her historical figure, followed by the opportunity for questions from the audience; both directed at the historical figures, who will answer in character and as the scholars themselves. Nebraskans across the state are also invited to participate in Chautauqua through an online workshop called “For the Record.” A series of iconic images enables participants to consider the issues faced by Americans in the 1800s and how we might think through the problems of today. Then, each participant is encouraged to document his or her own family or community story, either in images, videos, or written form, which can be sent to Humanities Nebraska for archiving. 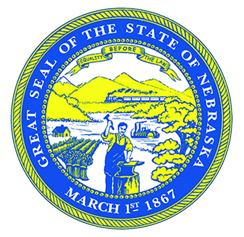 Chautauqua is sponsored by a major grant from the National Endowment for the Humanities and Nebraska Cultural Endowment, along with many generous contributors, sponsors, and volunteers. The complete schedule of all speakers and events and the 2015 Chautauqua, as well as information about the “For the Record” community workshop, a reading list, and more can be found at www.NebraskaChautauqua.org. For additional updates and information, follow Humanities Nebraska on Facebook, Instagram, and Twitter.